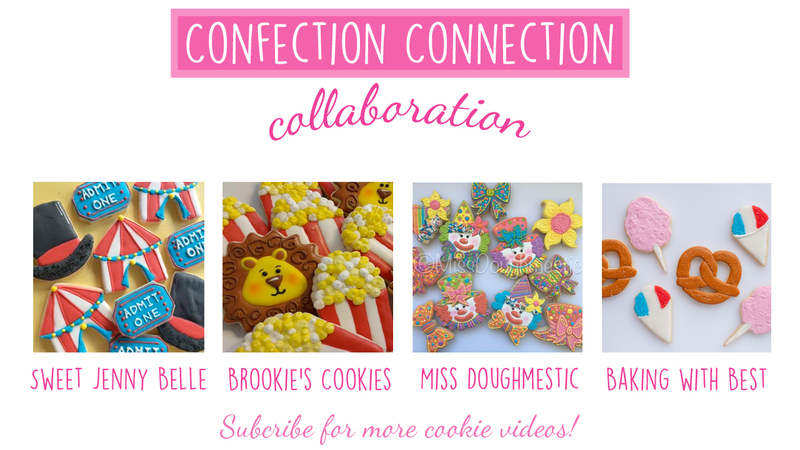 Have you had a chance to watch all the videos from this month's cookie set by the Confection Connection? These were so fun to create with my cookie artist friends. I'm already drumming up theme ideas for the end of July. Do you have a suggestion? Email me - I would love to hear from you! Yesterday I presented you with my circus tent and ticket tutorial. 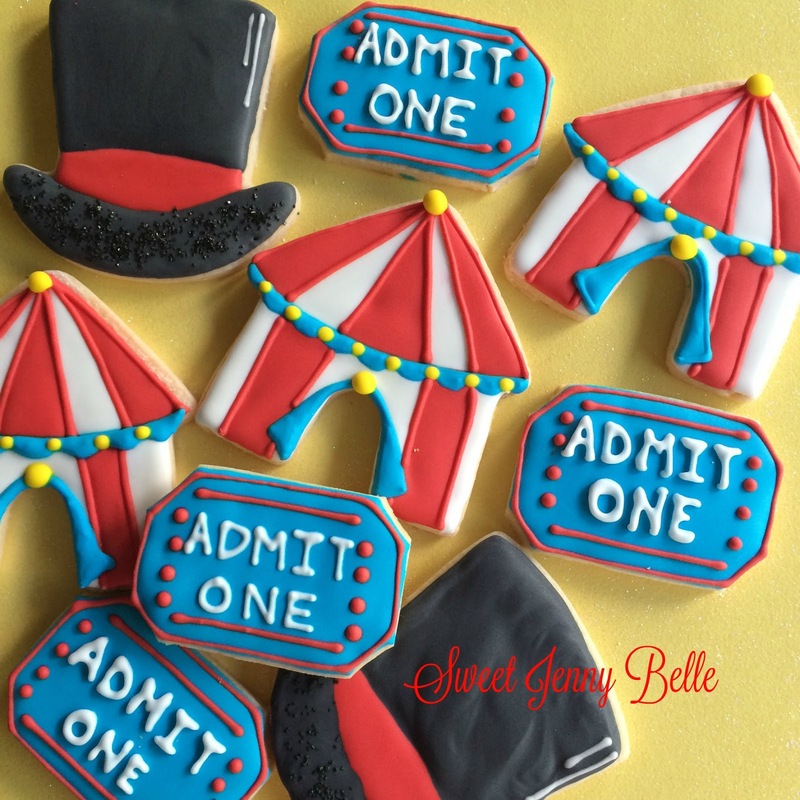 Wouldn't these be perfect for a school carnival or circus themed birthday party? They are fun and easy! And I think that ring leader hat would be awesome for a magician too! My friend Tiffany of Baking with Best, made such delicious carnival themed food that would be perfect for so many different cookie sets. 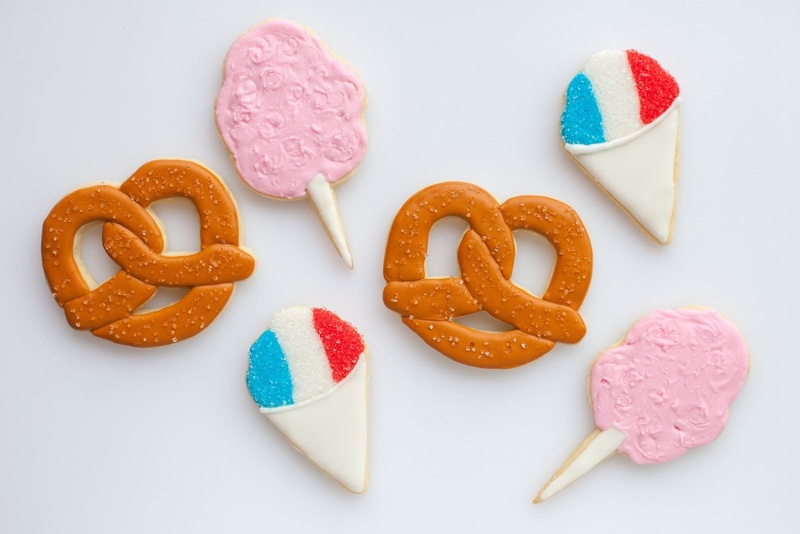 That pretzel would be fun paired with beer for Father's Day and the snow cone is so patriotic, perfect for this weekend's Fourth of July parties. Brooke of Brookie's Cookies created the sweetest lion that you could ever imagine trying to tame. I love the extra sparkles on his mane. And wouldn't these also be perfect for a "Wizard of Oz" themed party? I can just see him with a little Dorthy. 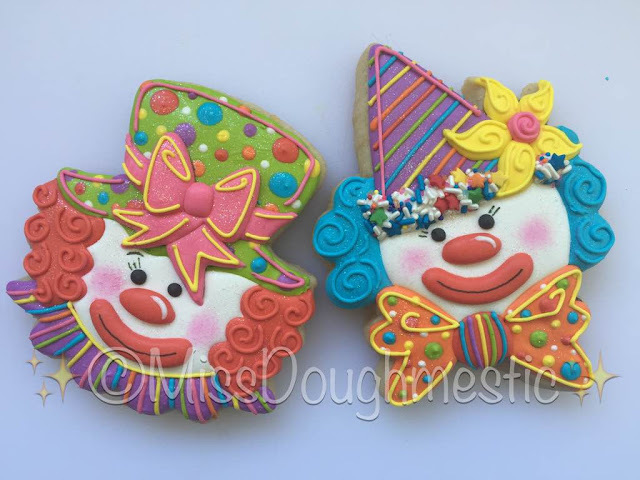 And last, but not least I think Zoe of Miss Doughmestic has ended my crazy fear of clowns. How sweet and colorful are these guys? I love all the rainbow colors and their happy expressions. Such a fun little cookie that would be a perfect for any birthday celebration. If you haven't already, be sure to stop by YouTube to watch all these yummy cookies created before you!